BRITISH INSTITUTES. CERTIFICATION BOARD EDUCATIONAL BOARD WHO IS BRITISH INSTITUTES? 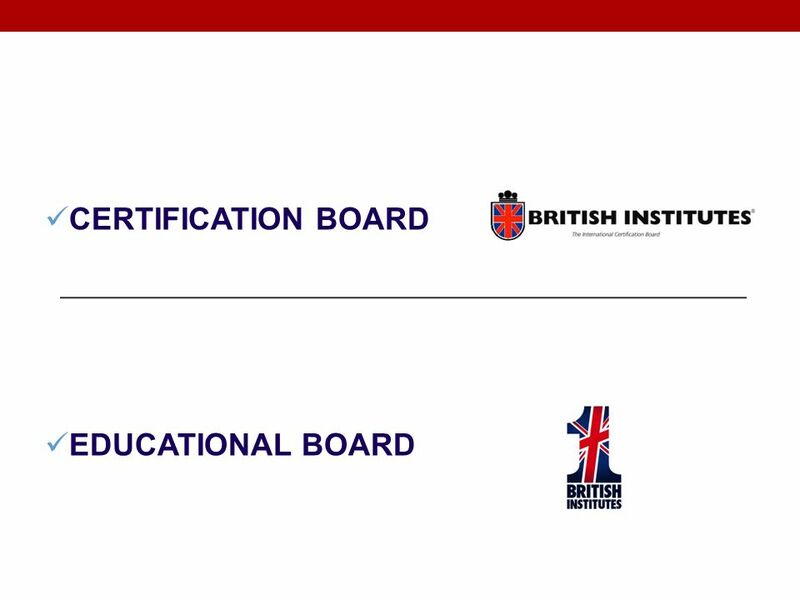 2 CERTIFICATION BOARD EDUCATIONAL BOARD WHO IS BRITISH INSTITUTES? 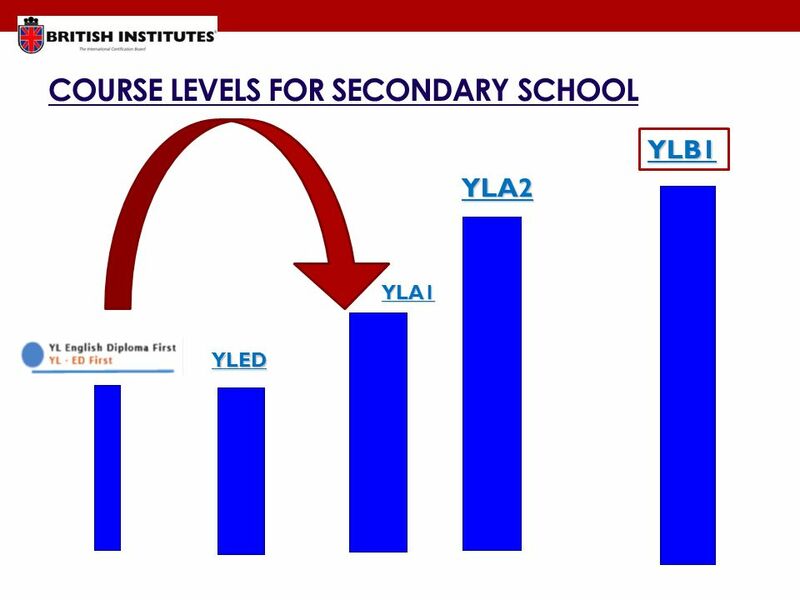 3 THE EDUCATIONAL BOARD British Institutes is an Educational Board working under Ministerial Authorisation. British Institutes bases its didactic structure on the Common European Framework. 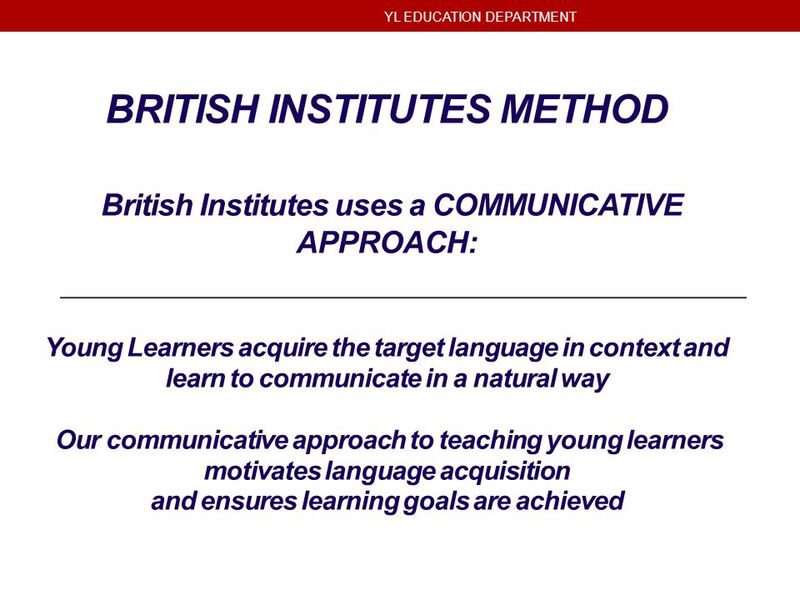 The teaching method applied is the English Communicative Method (ECM). 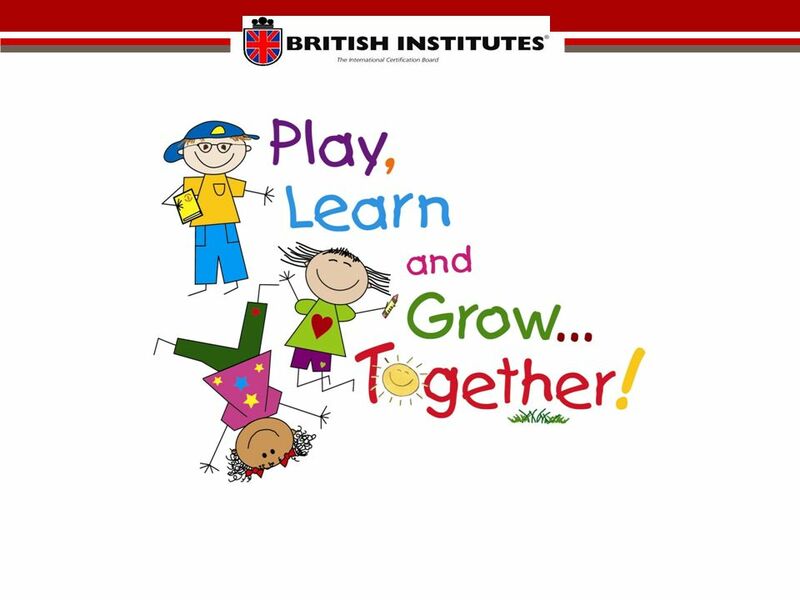 British Institutes provides courses of General English at all levels, all age groups, in addition to training and refresher courses for public and private school teachers. In Italy according to DM 177 we are authorised to train and certify state school teachers. 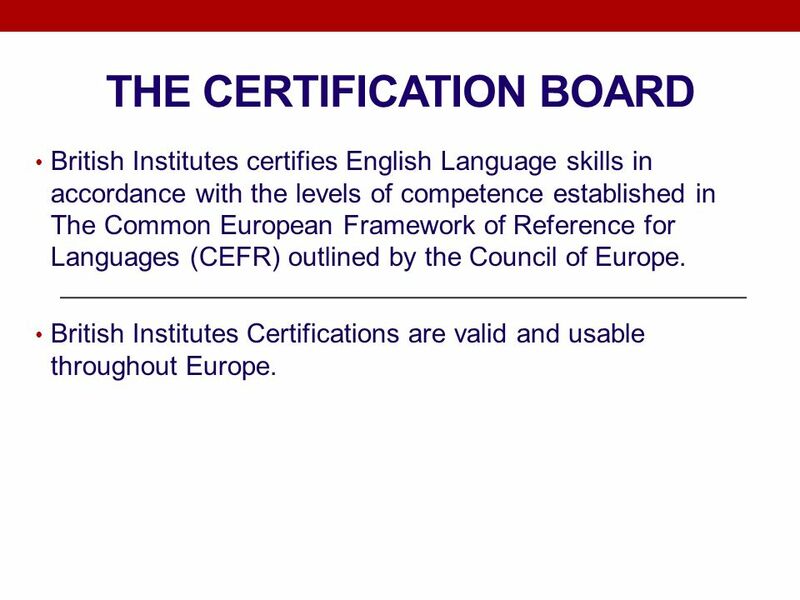 4 THE CERTIFICATION BOARD British Institutes certifies English Language skills in accordance with the levels of competence established in The Common European Framework of Reference for Languages (CEFR) outlined by the Council of Europe. 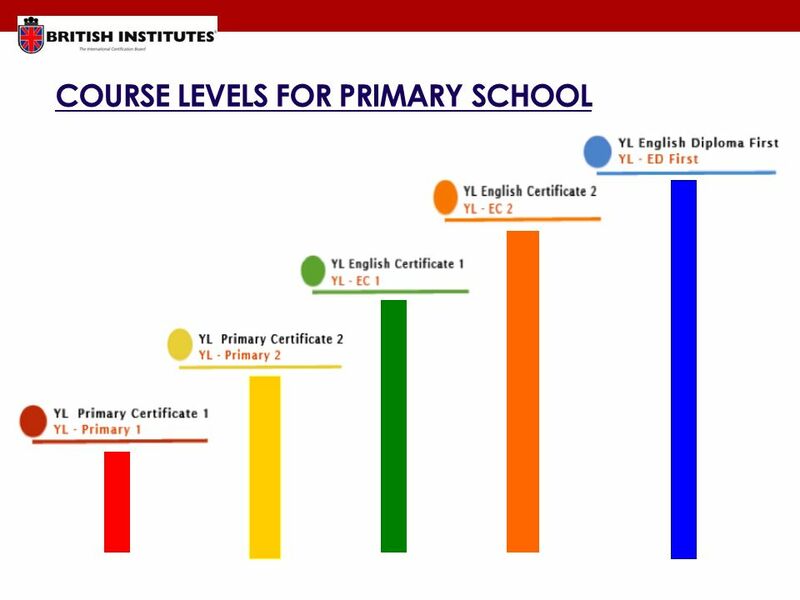 British Institutes Certifications are valid and usable throughout Europe. 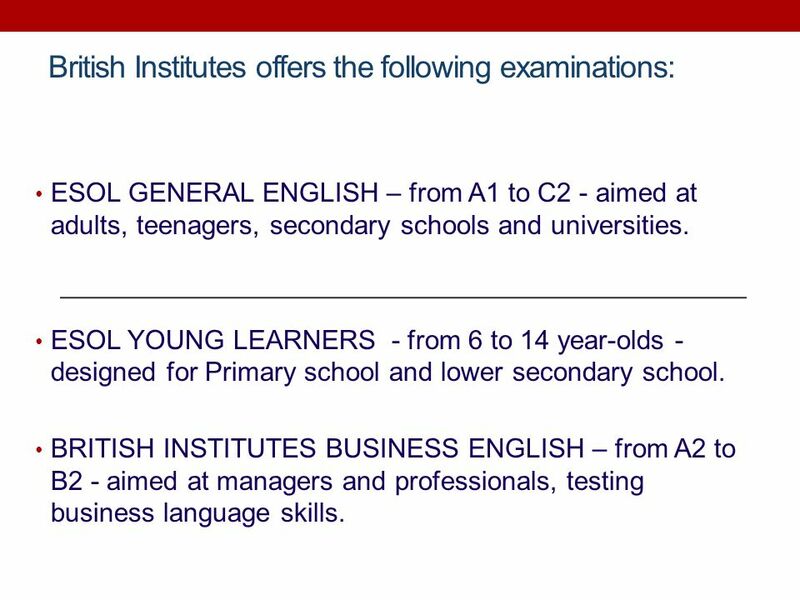 6 British Institutes offers the following examinations: ESOL GENERAL ENGLISH – from A1 to C2 - aimed at adults, teenagers, secondary schools and universities. ESOL YOUNG LEARNERS - from 6 to 14 year-olds - designed for Primary school and lower secondary school. 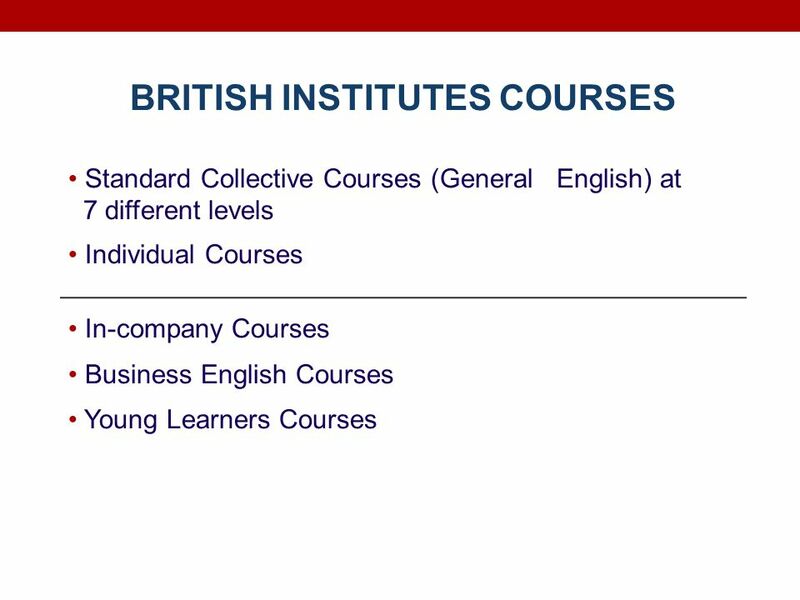 BRITISH INSTITUTES BUSINESS ENGLISH – from A2 to B2 - aimed at managers and professionals, testing business language skills. 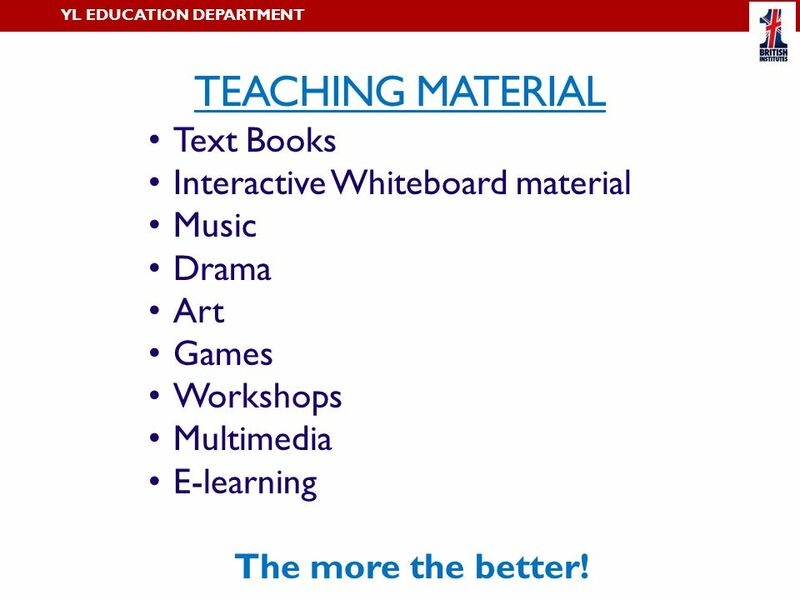 12 TEACHING MATERIAL YL EDUCATION DEPARTMENT Text Books Interactive Whiteboard material Music Drama Art Games Workshops Multimedia E-learning The more the better! 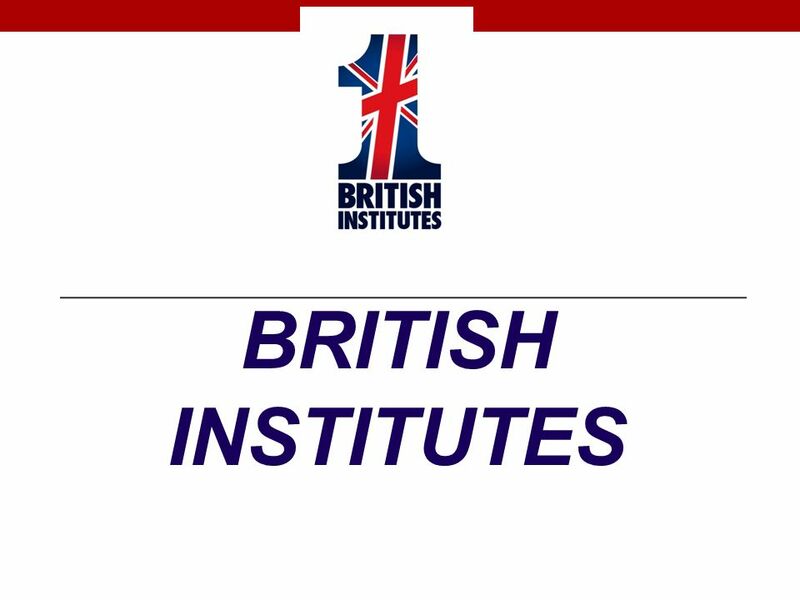 Download ppt "BRITISH INSTITUTES. 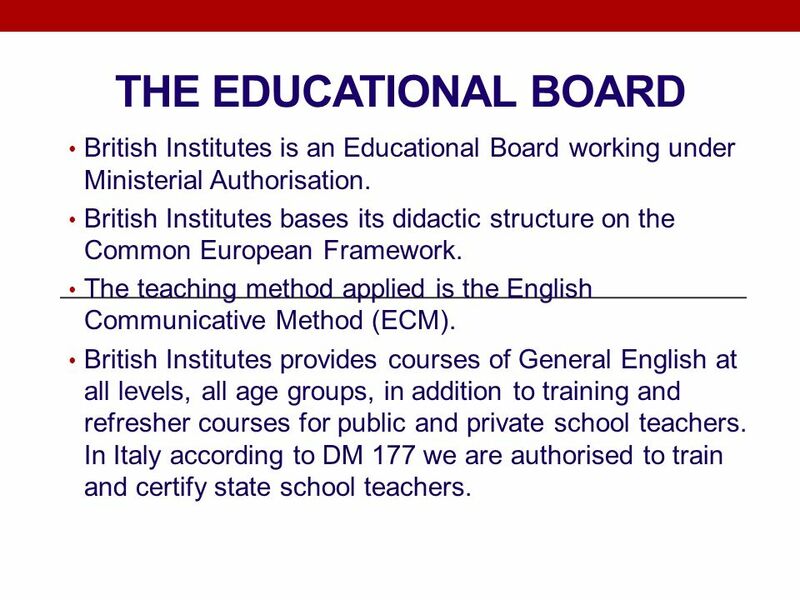 CERTIFICATION BOARD EDUCATIONAL BOARD WHO IS BRITISH INSTITUTES?" OUT-IN: Organising, Using and Transferring Innovation 14 December 2009 Rome, Italy. Training teachers to use the European Language Portfolio Former les enseignants à lutilisation du Porfolio européen des langues. International House Minsk. International House Minsk is a leading school in Belarus. It was opened in In 2010 it celebrated its 15. 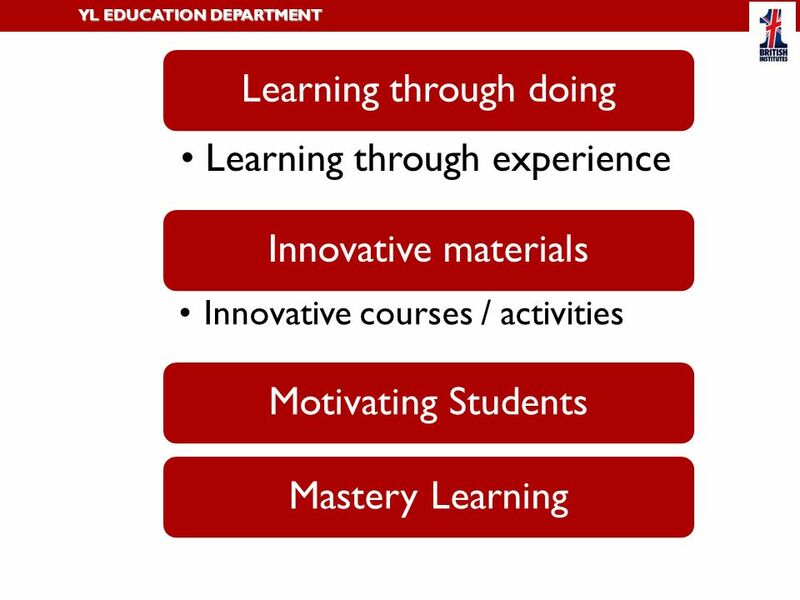 TKT Essentials Routes to excellence. 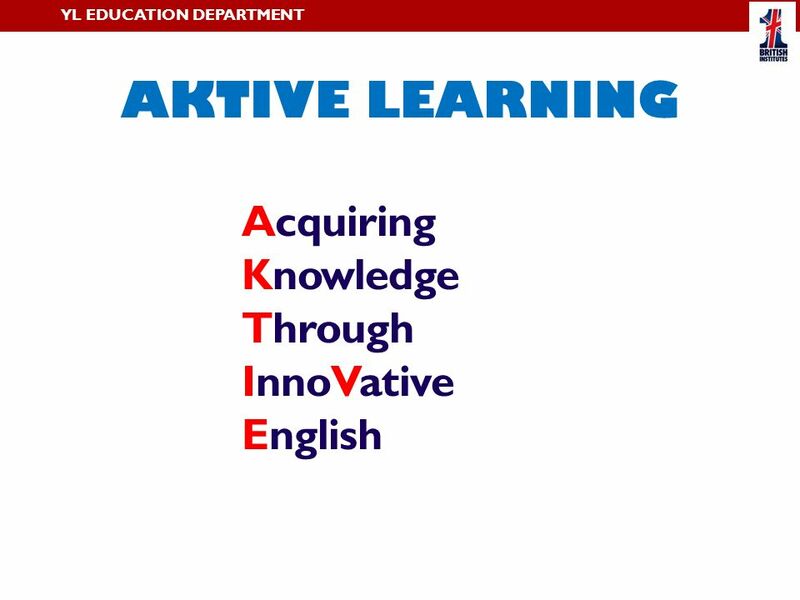 TKT Essentials TKT Essentials course The TKT Essentials course provides a basic introduction to English language. European Frameworks of Reference for Language Competences Waldemar Martyniuk Language Policy Division, Council of Europe / Jagiellonian University, Poland. ELP-TT Training teachers to use the European Language Portfolio ECML-short term project ELP_TT2 Ülle Türk, Estonia. Welcome to the British Section of SHAPE International School. Our school is an integral part of the SHAPE International School (SIS) and is situated on. LIFELONG LEARNING PROGRAMME & FORTHCOMING PROGRAMME.  A practical development course for primary school teachers of English who want to develop their knowledge and skills in primary English teaching  The. BEC & BULATS by Angel Phu & Zita Yip Examinations Services Officer. Fontys University of Applied Sciences Institute of Higher Vocational Education. 17/08/2015 Norwich Institute for Language Education 1. National Entrepreneurship Programme Parliamentary Secretariat for Small Business and the Self Employed Ministry for Competitiveness and Communications.